Thumb-tacked to the wall of our “motel” was an up-to-date hand-drafted graph of Keeling’s carbon dioxide measurements. 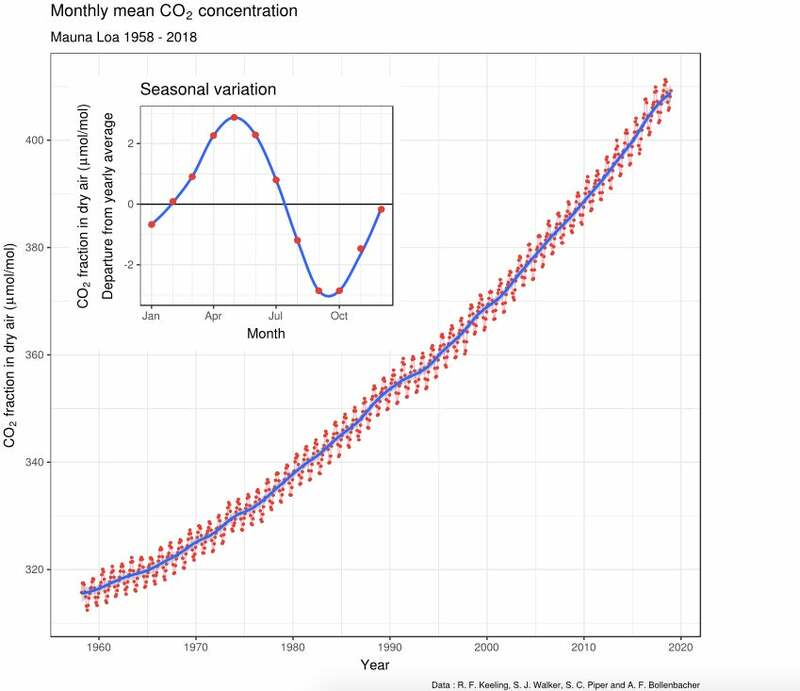 My HVO colleagues and I had no idea that we were seeing the infancy of a graph that would eventually document incontrovertible evidence of humankind’s impact on global climate change! Charles David Keeling deserves to be smothered in credit for his experiment, though not in a CO2-rich environment! Volcanologist Wendell Duffield spent 30 years working for the U.S. Geological Survey before retiring in 1997. He is the author of Chasing Lava: A Geologist's Adventures at the Hawaiian Volcano Observatory (Mountain Press Publishing Co., 2003) and other volcano-related books.